DNS has become a key part of enterprise networks and is used constantly to perform business-critical functions. Unfortunately, it has been largely overlooked in efforts to protect IT infrastructures and is increasingly targeted by hackers. A comprehensive solution is now available to protect against both types of attacks that exploit DNS—attacks from outside aimed at bringing the network down, and attempts by malware planted on internal servers to exfiltrate sensitive information. 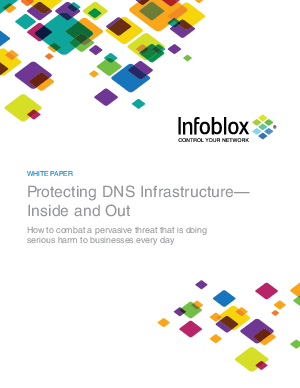 Read this white paper to learn the necessary techniques to defend your network against DNS-based attacks. Traditional security measures such as next-generation firewalls, secure web gateways, and incident detection and prevention systems won’t shield your infrastructure from this burgeoning attack vector. Get ahead of the cybercriminals who are making the news with their destructive exploits; and learn how to protect your DNS today.